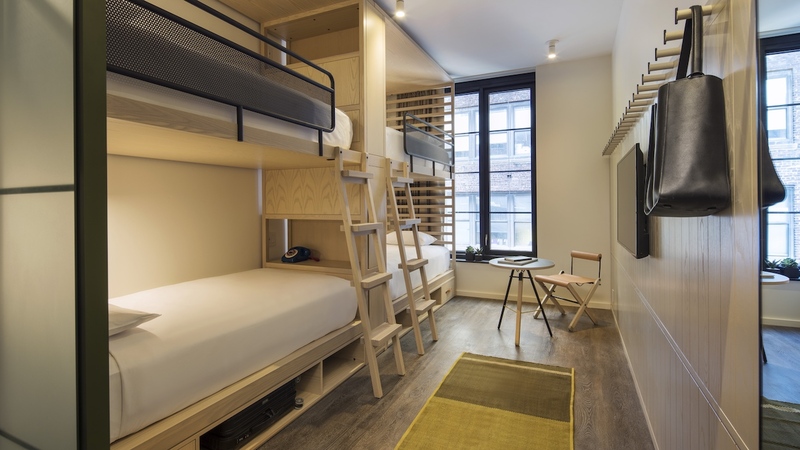 Yes, there are bunkbed rooms but the newest iteration forgoes the cheeky amusement park overtones for soothing spaces enlivened with vibrant greenery. 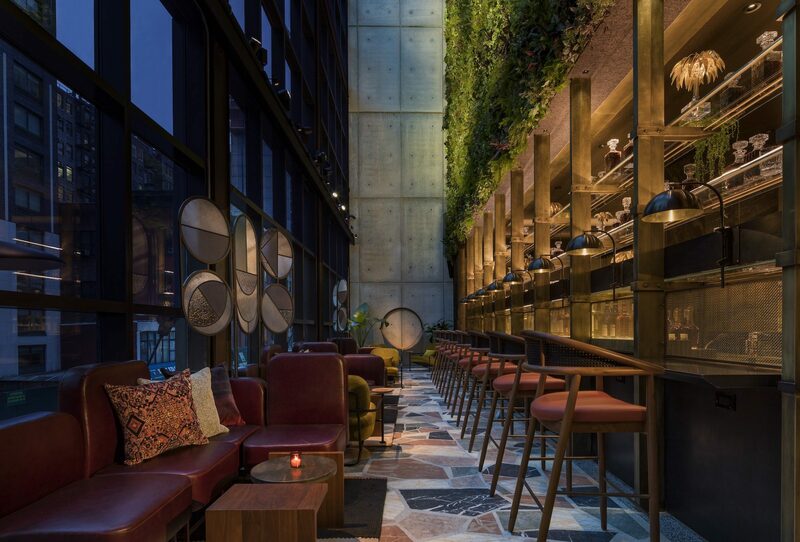 Checking In is a column that takes a look at new hotels with great design. 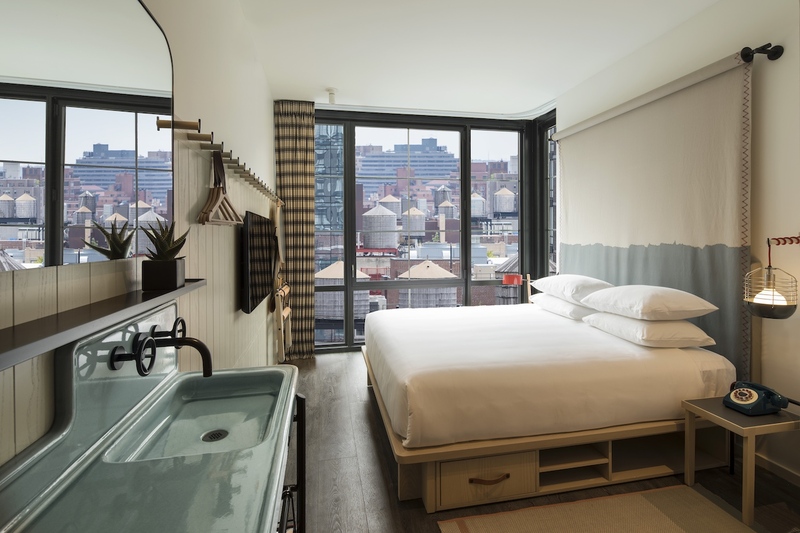 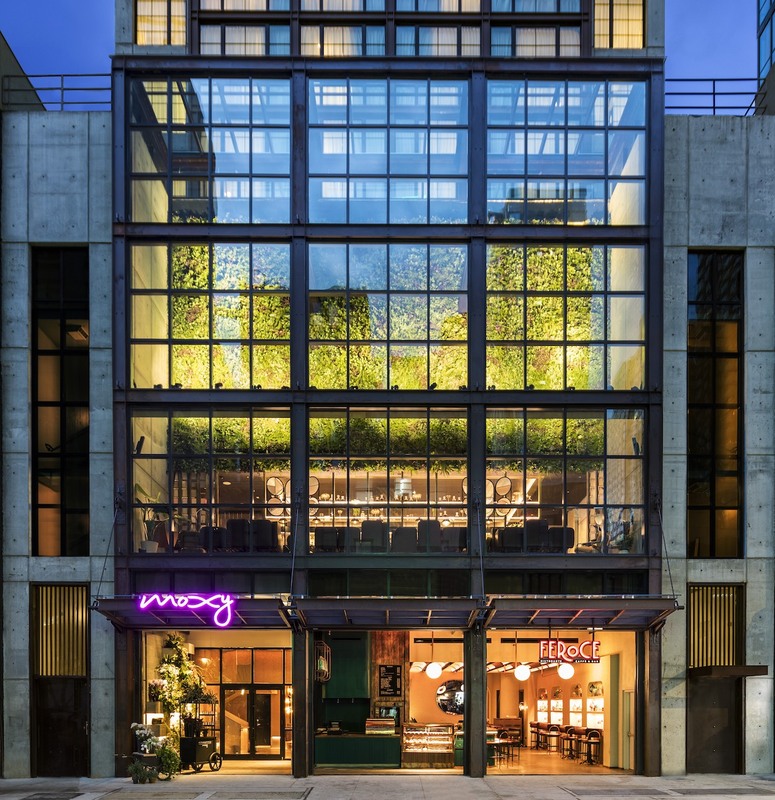 On offer: The design collaborators behind the Moxy Times Square have reassembled for the brand’s more grown-up New York outpost, the 349-room Moxy Chelsea. 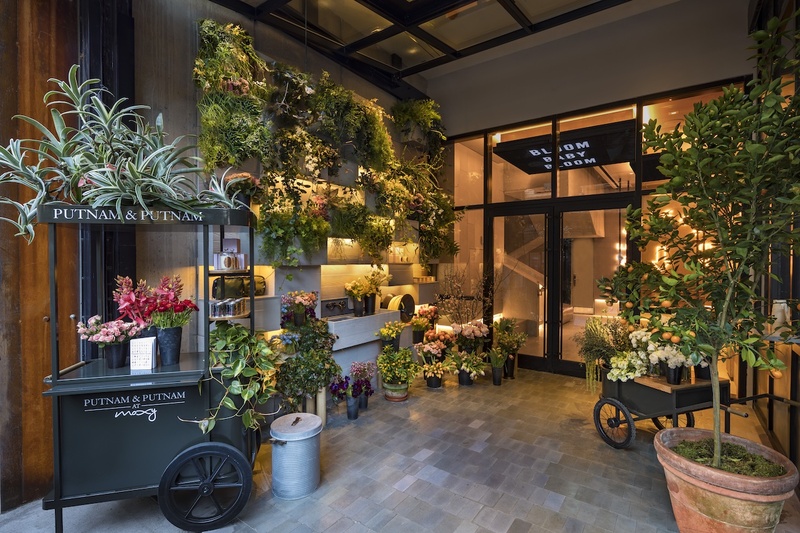 Taking cues from its location in the Chelsea Flower Market, the entrance doubles as a botanical shop by celebrity–favorite Putnam & Putnam that leads to a three-level atrium with vertical gardens visible from the street. 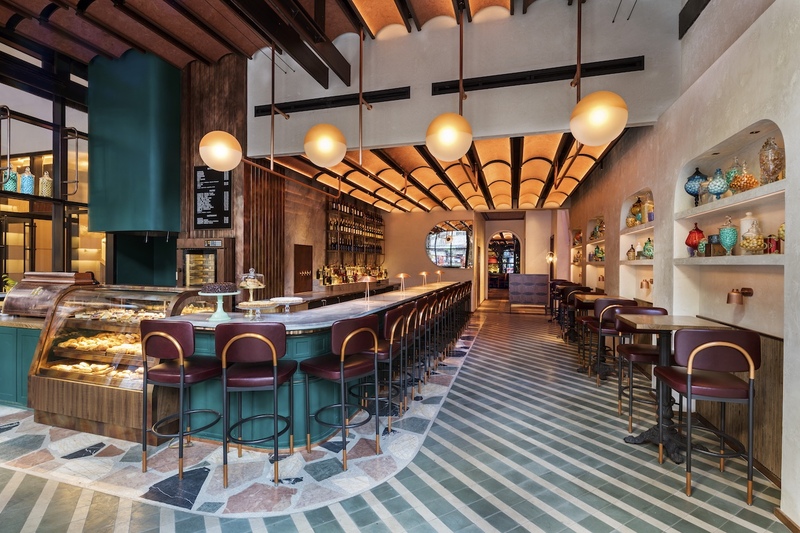 Standout features: The team behind Rome’s beloved Antica Pesa, which opened a satellite Brooklyn location in 2012, is partnering with Tao Group at the three culinary spaces: Feroce Caffè, Bar Feroce, and Feroce Ristorante. 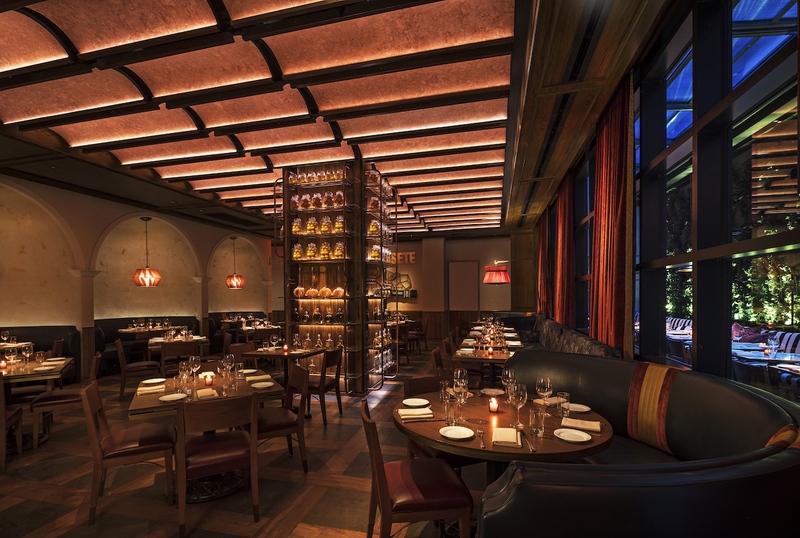 At the latter, staff in custom Brooks Brothers uniforms wander the terrazzo floors with a grappa cart. 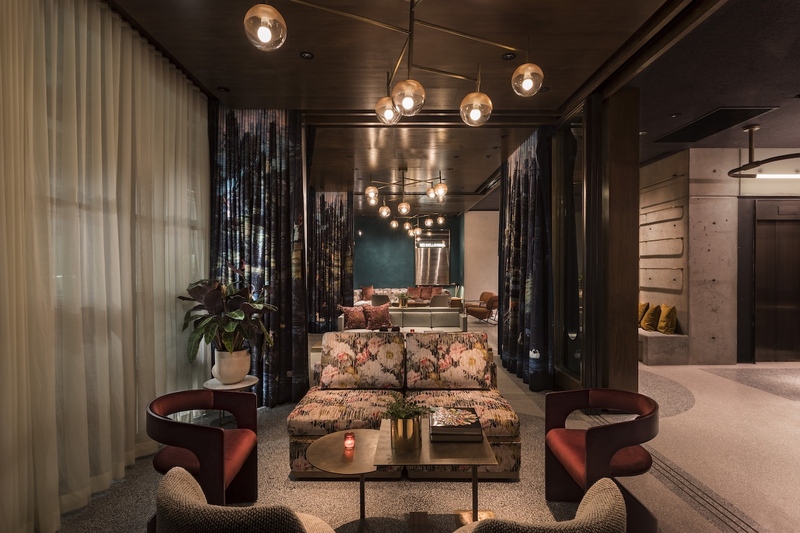 The 35th-floor rooftop lounge is outfitted with curvilinear, floral-print banquettes, a salvaged disco ball from L.A.’s infamous and now-defunct nightclub Vertigo, and a retractable glass roof.